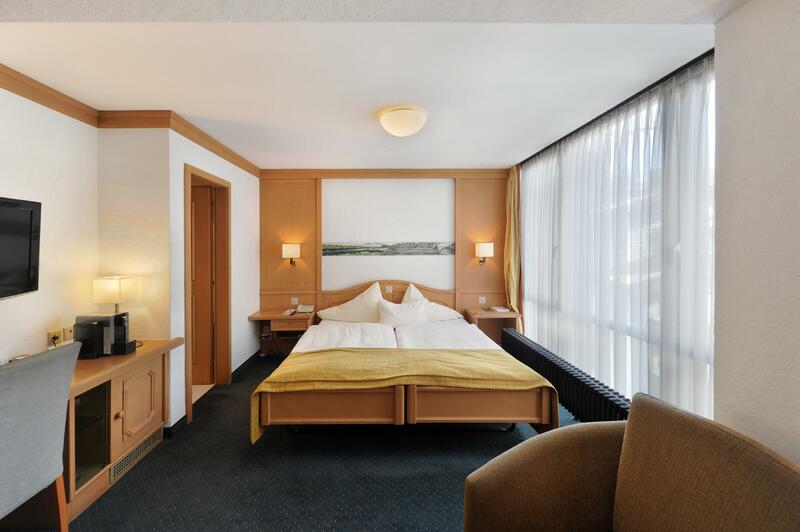 ﻿ Hotel Eiger Grindelwald. JIMAT di Agoda.com! Ada soalan mengenai Hotel Eiger? Terletak di tengah-tengah Pusat Bandar Grindelwald, Hotel Eiger merupakan tempat yang sesuai untuk meneroka Grindelwald. Dari sini, tetamu boleh menikmati akses mudah kepada semua yang bandar meriah ini boleh tawarkan. 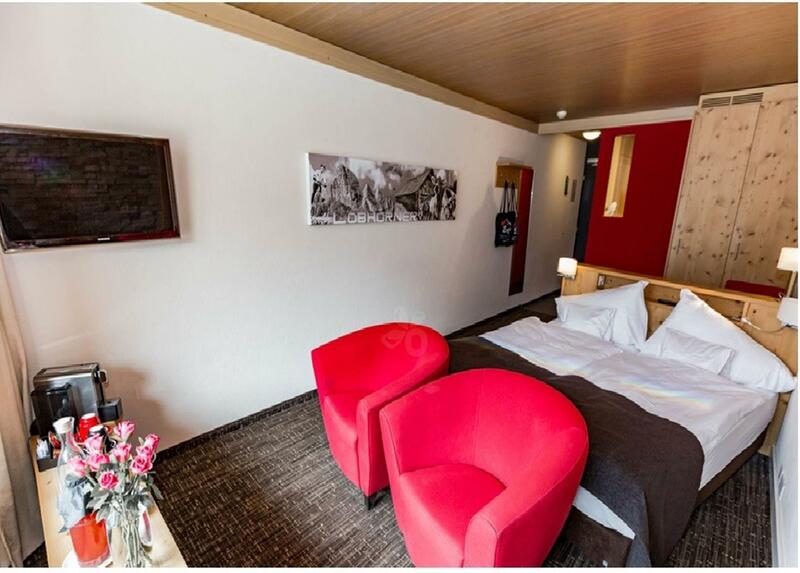 Hotel moden ini berada di sekitar kawasan tarikan bandar yang popular seperti Vogts Corner, Mont -Bell Grindelwald, GrindelwaldSports. Menawarkan tetamu hotel perkhidmatan yang unggul dan pelbagai kemudahan, Hotel Eiger komited untuk memastikan penginapan anda berada di tahap seberapa selesa yang mungkin. Pilihan kemudahan kelas atasan seperti Wi-Fi percuma semua bilik, Wi-Fi di tempat awam, tempat letak kereta, khidmat bilik, bilik keluarga boleh dinikmati di hotel. Hotel ini mempunyai 57 bilik yang sangat cantik, setiap bilik dilengkapi televisyen skrin rata, internet wayarles (percuma), tab mandi pusaran air, bilik larangan merokok, pemanas. Di samping itu, pihak hotel menawarkan aktiviti rekreasi untuk memastikan anda mempunyai perkara untuk dilakukan sepanjang penginapan anda. 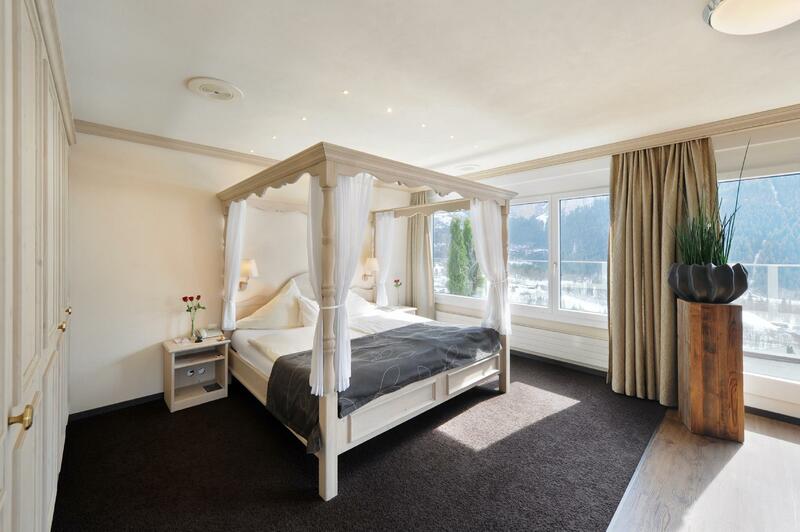 Dengan lokasi yang ideal dan kemudahan sepadan, Hotel Eiger sangat memuaskan hati. Harap maklum cukai bandar sebanyak CHF 4,2 setiap orang semalam tidak termasuk dalam harga bilik dan perlu dibayar terus di hotel. Katil tambahan tersedia apabila ada permintaan. Ia tertakluk kepada caj sebanyak CHF40 satu malam untuk kanak-kanak bawah 12 tahun dan CHF80 semalam lebih 12tahun. Pelan half-board disediakan dengan caj tambahan. Property is along the road, so it's easy to spot and get there. The room we had looked a little old, but it was still clean. And there were some complimentary food and drinks in the minibar, which they top up once daily. There's a gym and spa in the hotel, but we didn't utilize it much. The gym was spacious and had machines and free weights. They provided us with the Grindelwald Visitor Card, for local bus rides and also access to the sports center, which had an indoor pool and ice skating rink. We utilized it for ice skating in winter, as it was a rainy day as well, not so good for going up the mountains for sightseeing. The hotel room is big and the view from balcony is nice! The Swiss breakfast serves sausages and eggs can be prepared at our preference. Besides the Barry restaurant we dined at also served good meals. The waitress is very helpful and friendly. We enjoyed the stay. Friendly staff and great service keeping the hotel room clean. Drinks in the bar fridge are free and very tasty apples are placed around the hotel for guests. 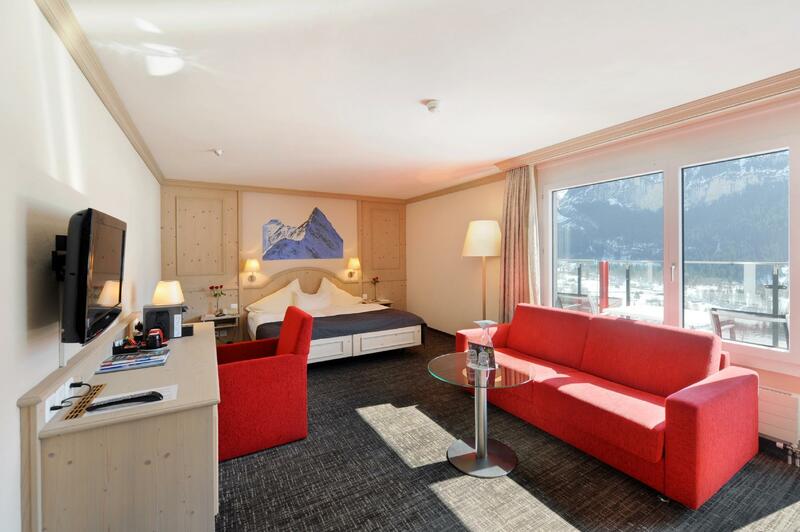 Convenient location in between the Grindelwald train station/bus terminal (8 min walk) and the cable car station to First (6min walk). Barry’s food and atmosphere are great. Also many restaurants around. 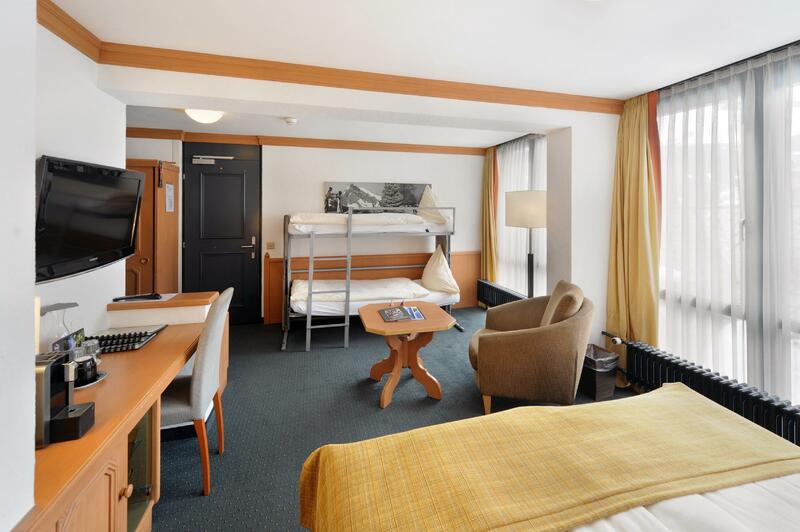 It have convenient location with just need 5mins walk from the station. Nice mountain view with request but totally worth. You can enjoy their sauna facilities without fee. Excellence breakfast and service. Would love to go again and again. The room is lovely and clean, however lights are too dim and room is too hot. Plus not enough plugs or location of plugs ain’t convenient. Complimentary minibar and the nice restaurants are scoring points. And they offered a homemade mint tea during check out which leaves a good memory. What can we say about a hotel that was so so attentive to their guests and always ready to support their needs? 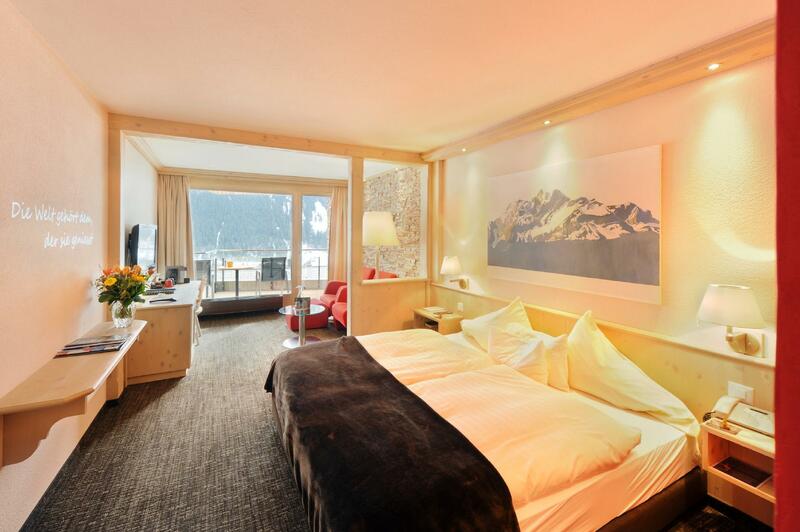 Eiger in Grindelwald was such a hotel. My wife and I spent 2 weeks in 5 different hotels and only Eiger made us feel special. The staff and the services were exceptional and they were always focused on the guests before anything else. From the arrival, settling in, personalised concierge services, daily breakfast and the simplest greetings each time we met, my wife and I are so so appreciative of the staff. Location of the hotel was great, staff were wonderful and the facilities beautiful. Thank you for the wonderful stay! Everything about this hotel is excellent. Although it is close to the train station, but the hotel was considerate enough to arrange portal service to save us the hassle of carrying luggages in the cold. 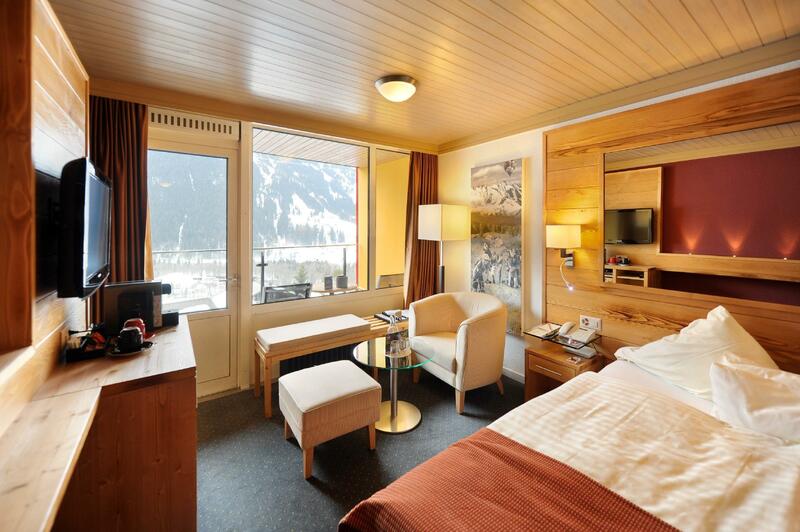 Love that our cozy room comes with a balcony and the view was perfect as it was facing the Mount Eiger. A special compliment to an extremely helpful reception staff, Jennifer who told us everything we needed to know about Grindelwald. Highly recommended! We'll definitely come back when we return to Grindelwald soon! We had a fantastic stay here for our honeymoon. We couldn't believe our eyes when we arrived - the room was decorated with candles, red roses and a giant heart on the bed plus some champagne and a fruit platter. It was incredible and so unexpected ! We couldn't stop smiling our entire stay. The view from the room was breathtaking and the bed was very comfortable. All the staff were super friendly and welcoming. The breakfast was delicious and the restaurant downstairs ('Memory' i think it was called) provided what was my favourite meal so far on our Europe trip. Yum yum!! What a perfect place to stay !! 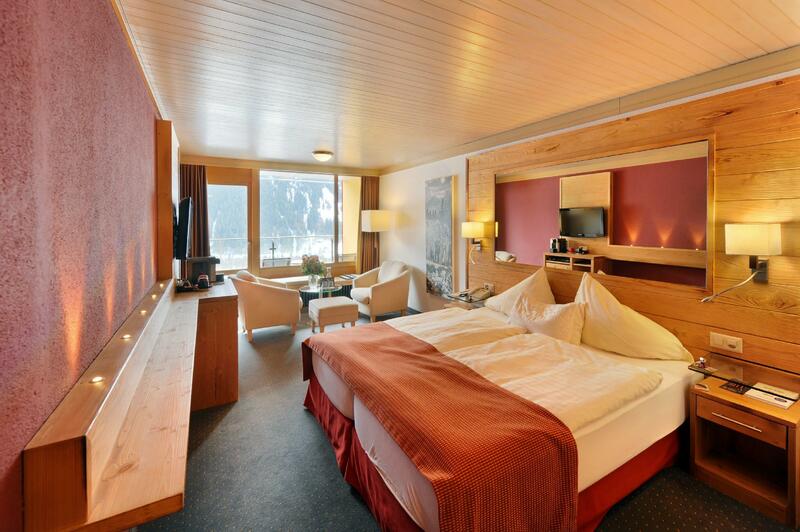 We booked for 3 days , the hotel Eiger is a great place to stay in Grindelwald. The hotel staff is wonderful and very, very helpful indeed. The rooms were spacious, clean, and tastefully decorated. The breakfast buffet was excellent. Also, they have free fitness and SPA facilities. Very good experience, we were on honeymoon and the hotel provided us an upgraded room and a bottle of red wine (though we did not drink), which surprised us and made us feel warm welcome. The hotel has everything we need, balcony with nice view, big and clean bathroom, comfortable bed, washing machine and dryer, gym, sauna, mini bar, good restaurant, nice breakfast with variety, helpful staff, we would give 5 stars! Pro’s - hotel was beautiful, in the middle of Grindelwald, incredible views, breakfast was very nice, included spa facility was a great touch, staff was very friendly and accommodating; nice modern style. Con’s - noise from the Main Street was loud for much of the night (10p-1a) - hotel did give you ear plugs, but it was annoying Would highly recommend overall. Staffs were nice, great location, tea time was good and big room for 3 persons. Good location. Staffs were nice. Great room, great view & location. The room was very large and comfortable. The bathroom was very nice, although the tub/shower may be difficult access for some. The Bistro was perfect for lunch. Cake and coffee in the afternoon. We walked to every destination in Grindelwald. I would definitely stay here again. Nice location, great gym, cool and clean spa. Clean rooms, somewhat old school. 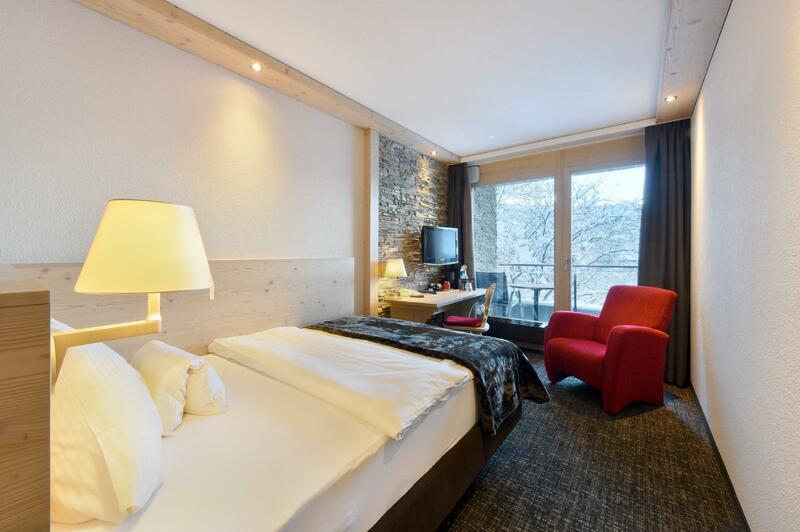 Now, you'll have to choose between the view on the Eiger and calm at night: rooms with Eiger view give on the Main Street, which means laughing beer guzzlers shout until deep in the night. No wonder the hotel offers earplugs on the bedside. Apart from that choice, great hotel.